I quit shampoo more than three years ago. It was supposed to only be a little experiment, because I simply couldn’t imagine how this could even work. Since then I have tried shampoo bars, hair soap, castile soap, rye flour, bentonite clay, and I just started testing the water-only method. And you know what? The only thing I regret is not having started earlier. There are many good reasons to ditch shampoo. Mine was because I was tired of the plastic waste it left behind. After learning that most of the shampoos I had previously used contained micro beads, I simply couldn’t. Did you know the average woman applies more than 500 different synthetic chemicals to her skin—every day? And the exposure adds up! I’ve had to deal with atopic dermatitis (and a load of allergies) all my life. Trust me, if a product contained anything that was said to be bad, my skin would tell me. My skin has always been dry and flaky, and that includes my scalp. Yes, I’m talking about dandruff. Story of my life! There are two kinds of shampoo bars. Which kind you use can make a huge difference! Liquid shampoo uses SLS (Sodium Laureth Sulfate) or the milder SLSA (Sodium Lauryl SulfoAcetate) as surfactants. Imagine stripping your shampoo off its water content and compress it to a bar. I like to call these kinds of shampoo bars “solid shampoo.” So if you want to enjoy the health benefits of quitting shampoo, this one is not for you. The other one is actually a real soap, i.e. saponified oils, but designed with the needs of scalp and hair in mind. So they are often supperfatting and contain many beneficial essential oils. You can tell the two different kinds apart very easily by reading the ingredients list. Solid shampoos contain either SLS (sodium laureth sulfate) or SLSA (sodium lauryl sulfoacetate), usually listed as the first or one of the first ingredients. Technically solid shampoo isn’t a no-(sham-)poo method. However, I wanted to include shampoo bars in this list because it is a great plastic-free option to buying shampoo in a plastic bottle. What’s more, it is the easiest swap for most people who don’t want to bother too much. There is no transitioning period, no reading up on it to know whether or not you are doing it right, no worrying about hard or soft water. However, just like with other shampoos, the quality varies. Lush is probably the most prominent manufacturer of solid shampoos. Do bear in mind that despite the hefty price tag, Lush products are not all-natural and are oftentimes not for sensitive skin, as I had to learn the hard way. I should have known just by the strong smell of their products. Even essential oils can cause sensitive skin to break out if used too generously. Do pay attention to the other ingredients too, folks! Read the labels. The solid shampoos Lush sells are SLS-based, the same surfactant found in regular shampoos. SLS (sodium laureth sulfate) is an allergen and can cause skin irritation, especially in individuals with chronic skin hypersensitivity (yup, that’s me). I have seen many Lush products with glitter and metallic additives too, wondering if that was microplastic. I have no idea though, they might use something biodegradable after all, I never asked. If you happen to know, please let me know in the comment section below! While I myself don’t use solid shampoo, we sometimes have these kinds of shampoo bars at home for guests. We also like to gift them to loved ones, because we know they have no interest in quitting shampoo and this is basically the same but without the plastic waste. When we do buy solid shampoo for these reasons, we go for all-natural shampoo bars that use SLSA (Sodium Lauryl SulfoAcetate) instead of SLS (Sodium Laureth Sulfate). SLSA is a milder surfactant derived from coconuts. You can wash your hair 40 to 60 times with a single bar by the way! Wet your hair and run the shampoo bar a few times over the top of your scalp. Massage it in like you would with liquid shampoo and rinse with water. Hair soap is a “real soap”, i.e. saponified oils. Hair soaps are bar soaps with ingredients that are especially good for scalp and hair. It’s usually a great option for people with short hair. I myself have tried hair soaps and they were okay even with my long hair. The effect was pretty comparable to shampoo in my case at least. Please note hair soaps are alkaline, like all “real soaps”. This is part of why they are effective. Naturally, our skin has a slightly acidic PH value of 5.5, so using alkaline cleaners isn’t for everyone. Even though I have hypersensitive skin, real, all-natural soap has always worked well for me—a LOT better than conventional drug store body or hand wash. I feel my skin and scalp bounces back a lot faster with real/hair soap compared to shampoo or body wash. If you want to give hair soap a try, do look for a local soap maker. If there isn’t any where you live and you want to order online, consider asking friends and family members so you can place a big order to reduce packaging waste and transportation emission. Tiny Yellow Bungalow (affiliate link*) is a sustainable online store run by fellow zero waster Jessie. This means you support a fellow zero wasters and you can be sure not not get any unpleasant plastic surprises. Click her to check out her hair soaps (affiliate link*). * Affiliate link: This means if you click on this link and buy something in Jessie’s store, I get a small comission. Wet your hair and run the bar a few times over the top of your scalp. Massage it in like you would with liquid shampoo. Rinse with water and then rinse with an apple cider vinegar (ACV) rinse (recipe see below). Aleppo Soap is said to be the first soap and has been made the very same way for thousands of years by the same few families in Aleppo, Syria. It is made by saponifying only olive and a bit of laurel oil (no palm oil). The beauty of simplicity! With the waging war in Syria, the soap makers had to flee the country. However, even in exile they have set up shop and continued to manufacture their soap. Makes sense, seeing that it is their livelihood after all. However, this kind of olive oil soap can be found in other Middle Eastern countries as well as Turkey and Greece. Olive oil soap has also been fabricated in Marseille, France. However, the French version usually contains palm oil. You can find traditional olive oil soaps at Middle Eastern grocery stores, they are a common staple. However, if you have a local soap maker that makes palm-oil-free soap, you might want to consider supporting them instead. My partner Hanno has been using Aleppo soap and soaps from our local soap makers for about three years, and he prefers them over shampoo. I also use (Aleppo) soap when traveling for convenience. While I do prefer it over shampoo, I like rye flour a lot better! Rye flour is a very mild hair wash. It is is packed with vitamins, minerals, amino acids and even contains Omega 3 fatty acids! It does not disrupt the natural PH balance of our hair and scalp, so if you want to make sure to not upset your scalp, rye flour is for you. It contains a lot of Vitamin B5, too. Because of its regenerating and anti-inflammatory effects, Vitamin B5 is often used in antiseptic ointments, baby care products or other products targeted to people with very sensitive skin. I used to shampoo my hair every day or every second day. With rye flour, my hair has learned to balance itself. Now I only have to wash my hair every four to five days. Whenever I use (hair) soap, I am instantly back to washing my hair almost every day, and I immediately get dandruff too! ► Learn more about using rye flour to wash your hair! Do make sure to use light rye flour though! Whole rye is a pain to rinse out! With a small whisk, mix ~2 tbsps of light rye flour (less for short hair, more for long or thick hair) with water until it becomes a runny paste (runnier than shampoo). The thicker the paste, the more difficult it is to distribute it evenly on your scalp. Work the paste onto your scalp. I usually part my hair with my fingers, massage some paste in, part again somewhere else, and so on. To be honest, I don’t distribute it too thoroughly, but it still works. Distribute whatever is left along the length of your hair. I also apply a good amount onto my face because it’s a great face mask too . Rinse with water. I always use an apple cider vinegar (ACV) rinse as a conditioner (recipe see below), which is helps with hard water. Bentonite clay isn’t just a great face mask, it’s also great for your scalp and hair. It removes dirt and grease reliably. However, compared to rye flour it can strip your scalp and hair off more of its natural oils, but I feel it’s less aggressive in doing so than shampoo and (hair) soaps. Personally, rye flour is my favorite hair wash method, but I prefer bentonite clay over (hair) soap for sure. But even if bentonite clay was my favorite, I wouldn’t use it to wash my hair because it’s expensive and I’m on a budget. Mix 1-2 tbsps of bentonite clay with water until you get a runny paste. Work it onto your scalp. Distribute whatever is left along the length of your hair. Let it sit for 2 minutes and rinse with water. Feel free to use an apple cider rinse (ACR) as a conditioner afterwards. It helps with hard water but is optional. “No poo” is often confused with using baking soda to wash your hair. However, baking soda is only one of many no-poo methods, albeit the most well-known one. I myself haven’t tried using baking soda because it is said to irritate the scalp and make your hair dry and brittle when used long-term. Blogger Kristen’s experience is only one of many. If you want to give baking soda a try, it’s probably a good idea to just use it occasionally, e.g. when traveling or before going to the hair dresser (so they don’t wash your hair with shampoo). Dissolve 1 tbsp of baking soda in 1 cup of water. Pour it over your scalp and give your scalp a good massage. Rinse with water. Don’t skip the apple cider vinegar (ACV) rinse afterwards (recipe see below)! To be honest, when I first heard about using only water to wash your hair, I thought there was no way it could work. Sure, water can remove dirt, but how is it supposed to remove grease? It was definitely Ariana who changed my mind! She is one of my favorite zero waste content creators and you gotta love her dry humor! At first glance, her blog Paris to Go (IG @paris_to_go) looks like a glossy fashion and lifestyle blog, and Ariana like a model with perfectly styled hair to die for! Her secret? Well, she has been washing her her hair with water only for more than three years! This made so much sense! I had been eyeing her water only progress for a very long time, reading her updates like this one year update, which also includes a troubleshooting. After two months of traveling around giving talks I am taking two months off public speaking. So this was the perfect time for me to finally give water only a try! I started four days ago, and my partner Hanno got so curious he also took the plunge (pun intended ) the day before yesterday! The washing-your-hair part is pretty simple. You either dunk your head into a bucket of water or you wet your head under the shower or in the bathtub. Scrub your scalp and run your fingers through your hair like with shampoo, but more thoroughly. Some people prefer pretty hot water because it is supposed to make the sebum (your natural hair grease) runnier so it travels down the length of your hair and coats it better. But hot water also can also dry your scalp and hair out, because it causes the pores to widen. Cold water seals the cuticles, making them shinier. From an environmental and financial point of view, cold water is definitely the way to go . My all-natural, plastic-free hair brush with vegan bristles with agave fibers. I bought it years ago in a plastic-free shop but have hardly used it because my hair is too thick. Hanno has fine hair, so he uses the brush. 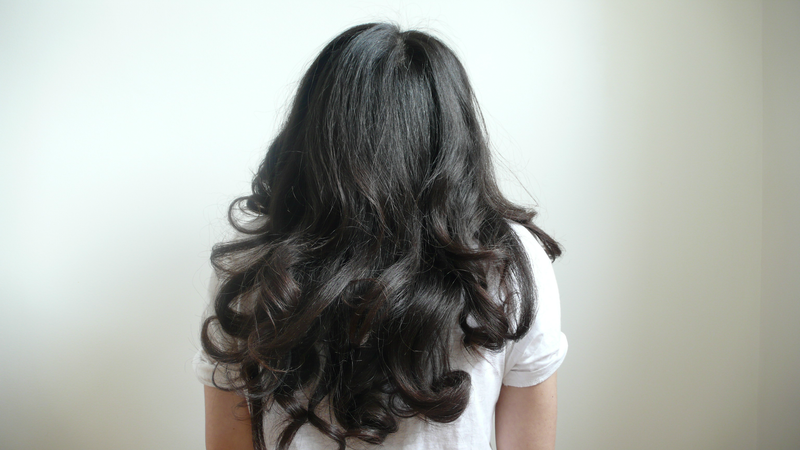 Once or twice a day, massage your scalp and run your fingers along the length of your hair. Also brush your hair thoroughly every day and before you wash your hair with water. This removes dust and dandruff mechanically and distributes the sebum. Most people that go water only (or sebum only, which is to only brush your hair and rinse it with water from time to time) use hair brushes with boar bristles . But it seems all-natural brushes with vegan bristles work fine too. Ariana recommends a hair brush with natural vegan bristles  for fine hair, and a wooden pin brush for thicker hair, and a fine toothed comb for curls. Apple cider vinegar rinse seals the cuticles and makes your hair soft and silky pretty much instantly. It is popular with many no poo enthusiasts, while frowned upon by others, because it does mess with your scalps natural PH value. As somebody with hypersensitive skin, I surprisingly like it. I feel like with (hair) soap and unlike shampoo, it only messes with my scalp’s natural PH balance very temporarily, so it bounces back instantly. Besides, I use it to rinse my hair, so not a lot of it even touches my scalp. Pour 1 tbsp of ACV into a shatterproof cup, e.g. a camping or measuring cup. Wash and rinse your hair. Fill the cup with a cup of water and rinse your hair with the mixture. Rinse with water. True, I read about it recently https://goodonyou.eco/whats-the-problem-with-glitter/ and https://au.lush.com/article/faq-lush-and-mica. The over-the-top smell when passing by a Lush is an indicator of over-the top perfuming (and off-putting) anyways! And thanks for the post, Shia, you got me interested in inquiring about rye flour at my favorite bulk place. Ariana also got me to go water only, but I have to say I do love my vinegar rinses. I love experimenting with different herbs; lavendar and chamomile are my current faves. Shampoos, even bar shampoos, were a lot harder on my hair than I ever imagined. I was loosing my hair by the handfuls and I thought it was hormonal. Totally mistaken. My hair is healthier than ever now. Shampoo totally destroys your hair. You really have to try no poo, and realize while you are transitioning that your hair can get over the shampoo addiction. Rye is great (thank you shia for this tip years ago), so is clay. Baking soda is too drying. But it all really depends on your water quailty. I live in a region that has incredibly hard water, so I use straight up vinegar (with herbs). Most people here have calcium build up on their scalps and hair without realizing it. I think the vinegar rinses have helped to clarify my hair and scalp. I’m very sorry to hear shampoos was doing that to your hair! It’s not as unusual as you’d assume though! So glad you hear water only, rye and clay has been working well for you! I just moved to another city with very hard water, and it’s been weird with my hair! Day 1-3 of water only were a nightmare, my hair was greasy and waxy AF. Day 4 was great! My hair was still slightly waxy, but only very slightly and it was one of my best hair days LOL! On day 5 my hair didn’t get greasy anymore, but felt like you could make a candle with the wax coating on my hair. I knew it was the hard water, so I went with an ACV rinse, even though I intended to stick to literally water only. And suddenly both the grease as well as the wax coating disappeard! Today is day 6, I didn’t wash my hair, and it looks even better than on day 4! Clean, light, not dry and easy to brush! So I’ll probably stick to rinsing my hair with ACV once in a while ;). My hair is falling and cut very short. If your hair is very short, using a washcloth is indeed completely sufficient :). Thanks for sharing, Rob! I’m Pei Chuan. I have started to try halfly poo-free for my natural black short hair in June. I call it “halfly” because I have use shampoo Dove and Amway Smooth moisture previously. However I have also tried to use the Goat Milk and Patchouli which is bought from The Kindersoaps Sdn Bhd with the rinsing of lemon juice in Malaysia. This method have cleaning and softening effects too. Thanks for your suggestions in this blog as a guide. Is it those natural materials should be no harmful for new born babies? thanks for sharing your experience :)! It it best to go completely shampoo-free though, to break the cycle, or else it’s actually harder on your scalp and hair if you still use shampoo or conditioner in between because every time they start to adjust the progress gets disrupted. What’s more, conventional shampoo and conditioner leave a lot of stuff on your hair that sabotages the positive no-poo effects. And no, unlike store-bought products these natural methods are not harmful to new born babies. But as far as I know, using water only is the best method to wash a new born’s hair anyway :). Hi, I have a question about your water only approach. You said after 5 times and a rinse with water, your hair was back to relative “normal”. Elsewhere you said you had used water only for just a few days. Did you initially wash your hair with water every day? I have tried water only and I experienced the greasy, waxy feeling. However, I wasn’t washing every day. I am trying to go no-poo because my thin, fine hair was getting to the point of getting greasy by the evening after washing it in the morning and I finally realized that the culprit was regular shampoo filled with chemicals that are damaging to my hair. The only other method I have tried is baking soda and ACV rinse followed by distilled water (I have really hard well water). I had good results with this, but am concerned with the long term effects. After 6 weeks now, I can go 2 days before my hair gets greasy. I’d like to get to 5-7 days, or just a water rinse when I shower. I don’t know whether to go to just water only, or to give light rye flour a try. Hello! I want to start decreasing how often I wash my hair and I bought an Avocado Co-Wash bar from Lush (link below). Do you know if that’s easier on my hair than a shampoo bar? Lush sells solid shampoo :). So no, it won’t decrease the frequency of how often you’ll have to wash your hair. Hope this helps! Cheers! Hey! I am currently 2 months into washing my hair with water-only and I’m starting to read a lot about how to make it more efficient. I always read that it is very important to massage your scalp once or twice a day and also in the shower, as you did mention too! But my question here is: isn’t the massaging part exactly the one that produces sebum and therefore makes your hair even more oily? Because that’s what I have experienced when I massaged my hair while rinsing it, when I come out the shower it was getting greasy so quickly again! And when I did it during the day (and I use a brush with boar bristles everytime I do it!) my hair gets so greasy that I should probably wash them with water every 3 days because I doesn’t get better. So if you have any information about that it would help me a lot because I couldn’t find any specific reasons why massaging your hair is so important! I developed scalp eczema when I first move to us 6 months ago from Malaysia. Condition worsen when the weather gets colder. So I started using selsun blue (which works miraculous for me before). It didn’t work this time. On the contrary, it damages my hair terribly. I stop using it and starts trying homemade conditioner (ie, banana, acv, lemon, coconut oil, olive oil etc). It makes it better for a day or two after I shampoo my hair for the next 2 days, my hair got dry again. I gave up and started to not use anything but water. Today is the 4th day I went poo-free and my hair feels amazing. But, I couldn’t solve my scalp eczema problem. Do you have any idea what can I do with it? Hi, I have read in one article that you can wash your hair with mustard powder but there was no more information than the statement itself. What do you think about that method? I have been using rye flower for a while now (I think I might have first read about it here even, so thanks a lot! ). I’ve been experimenting a bit and found that mixing the rye/water paste with some apple cider vinegar really helped me to remove the kind of waxy feeling some people describe, which I particularly had while I lived in an area with very hard and chalky water. I do also use a very mild apple cider vinegar rinse (1 Liter bottle of water with maybe one table spoon of vinegar) that I just leave in my hair without rinsing it off. Thank you so much for taking the time to test all of these methods and share your thoughts about them! It is so helpful!! I’m so excited to switch to a more natural, and less wasteful, hair care. And hopefully reduce the frequency of my washing, haha. I just bought the hair soap you linked (with your link!) to TYB. Your reviews of the different methods was so helpful in deciding what option is the best for me right now. Thank you thank you thank you! I really want to transition to no-poo with a av rinse but the only thing that is holding me back is that I like it when my hair smells nice!! What does your hair smell like with this method? I believe that it’s beautiful but worry about the smell. Any tips and tricks?